A book creator is a fantastic tool to encourage young writers to write their own stories in the classroom. Children have great imaginations. With some help and encouragement, most young people will be able to formulate a story with real characters, a plot, dialogue, and a beginning and an end. Bookemon’s book creator package can bring their story to life, helping them to add some wonderful illustrations. It is also an extremely useful aid for entering them into young author fairs and creative story writing competitions. Announcing a competition is a fantastic way to get young ones writing. Give them the tools to make their stories look as though they were written by a pro and you could well have the next prize-winning story appear right in front of you. Many school districts have annual young author fairs in which students can showcase their writing, with the winner having their poem or story exhibited in a printed book. With Bookemon’s book creator, the administrative headaches associated with numerous entrants and competitions are all but eliminated. You will be able to keep track of all your entrants, and who entered which competition and when, because the information will be logged online. You will even have a complete copy of their work so there is no chance of it getting lost or going astray. Bookemon’s Educator Program enables educators to create their own secure EdCenter, so that all their students have their own access to Bookemon’s Book Creator software. Children can create their own storybook, free, from a choice of more than 30 different themes. There is nothing to install and the software works on any device. Once children have written their story, there is no obligation to buy their book. An ebook edition of their story is free for them to use and share as they like. If you do decide to print any of the stories, special discounts are available for educator members. With Bookemon, no competition entrant need be disappointed; even if they don’t win this time, they can still choose to have their story made into a real, quality book to take home and keep forever. Comic books are fun for kids to read and create. One way for teachers to build interest in reading and writing is to help students to create a comic book in which they write about the stories and characters that interest them most. 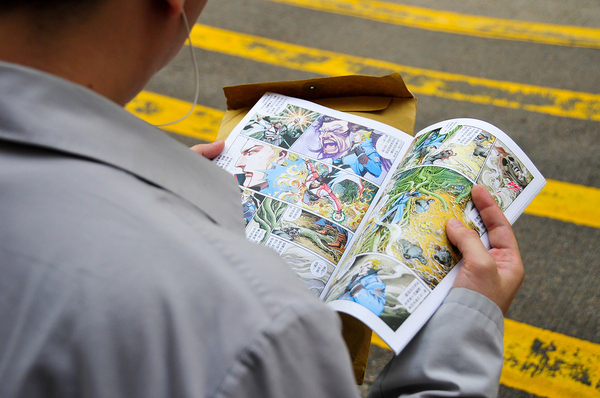 Many students develop an interest in comic book characters and stories as they grow up seeing them portrayed in the movies. Savvy teachers can use these characters and stories to accomplish their academic goals as they build on information students already know. Doing a comic book project with your students can teach or reinforce many different language arts skills in a fun and creative way. Students need to write a story as part of their comic book, and combining pictures with words can make the storytelling process easier for even the most reluctant writers. When the story is their own, students are highly motivated to spell and punctuate correctly, so these skills are reinforced. You can teach specific story writing skills through a comic book project. With younger students, you may teach chronology – that stories have a beginning, middle and end. With older students, you can teach plotting elements like conflict and the plot triangle that almost all stories use (rising action, climax, falling action). You can also teach character development with the added aspect of using images to show how characters look and act. In telling a story, students will need to understand the concepts of genre ( the type of story), dialogue, and other elements which can be taught at different levels for students of different ages. One of the great things about comic books is that they can be adapted for use with every age group K-12. Kids of all ages can be creative as they create their own comic books. One way to use a comic book project is to have students create a comic book to summarize a book they read in class or for a book report. Students will often choose books based on movies (or the other way around) when given a choice. Having to come up with an alternate ending is another good way to approach creating a comic book. There are tons of options to choose from, and you can pick several to offer your students a focused choice. Creating a comic book can be complicated for some students, but you can make it easier by allowing them to choose between drawing on paper or using a computer graphics program. Bookemon can use a variety of formats to create books for students. Even photos can be used if students want to use this medium for their comic books. Offering students one method of creating their comic books while being open to other ideas is usually the best way to approach the project. Younger students and students with learning challenges may be able to collaborate on a comic book, working together as a class or with a small group rather than individually. For group projects, teachers should be vigilant about making sure each group member contributes ideas and that all ideas are considered respectfully. Educators interested in Bookemon can try it out for free and see how it can enhance their classroom projects. With some guidance, your students can create their own books. Teaching young students how to create a book is a great interactive lesson plan that will get them thinking about the process of reading and writing as well as give them a chance to be creative. It can seem like a huge task for kids to create their own books, but you can help break it down into steps for them and make the task manageable and fun. The first step to creating a book is usually choosing a topic. Younger students can get overwhelmed by a lack of structure, so you might consider tying the book project to a particular unit and narrowing the topic so it fits into that unit, or just choosing a general topic for them. 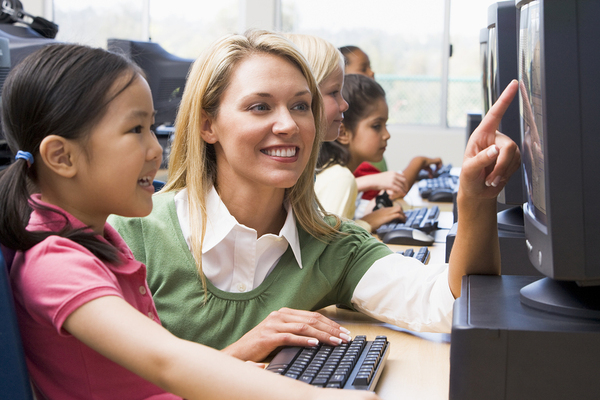 Older students may be able to choose a topic that fits into their existing interests. Not all students will have an easy time telling their story, so you can introduce one or more ways to do so. Telling the story chronologically makes the most sense for younger students, while older ones may be able to use flashbacks or incorporate multiple points of view if you show them how and give examples. Whether students’ stories are simple or complex, encourage them to be descriptive by using words related to each of the five senses, and encourage their creativity and progress. If possible, write a book alongside your students to help model creativity, your excitement for writing stories, and the process of writing for your students. Students can learn many valuable skills through the process of creating their own books. 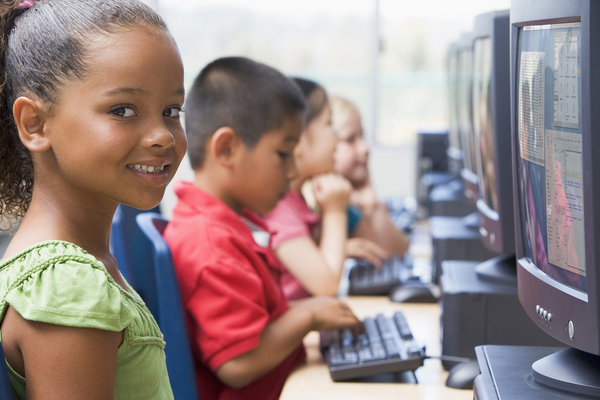 Younger students may find typing their stories time consuming and cumbersome if they haven’t yet developed keyboarding skills. You may want to have the more proficient students help the others, or maybe you can type in the stories for those who really struggle after they hand write them. Bookemon accommodates PDFs, Word documents and also provides custom templates kids can use. Students who enjoy drawing will probably spend a lot of time making a cover and illustrations for their book. Most schools are equipped with a scanner for importing students’ own drawings or with software students can use to create their own digital illustrations. Bookemon makes it easy to upload photos and other files. 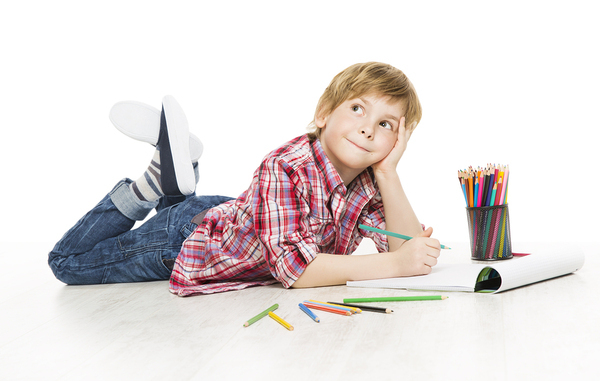 For kids who don’t enjoy drawing, there are plenty of royalty-free images on sites like Pixabay that they can use instead. Bookemon offers free saving of ebooks and the ability to purchase printed copies for publishing options that fit every school’s budget. Books can be used as part of a student’s portfolio and shown, even projected on a big screen, at school and district events to showcase students’ abilities. 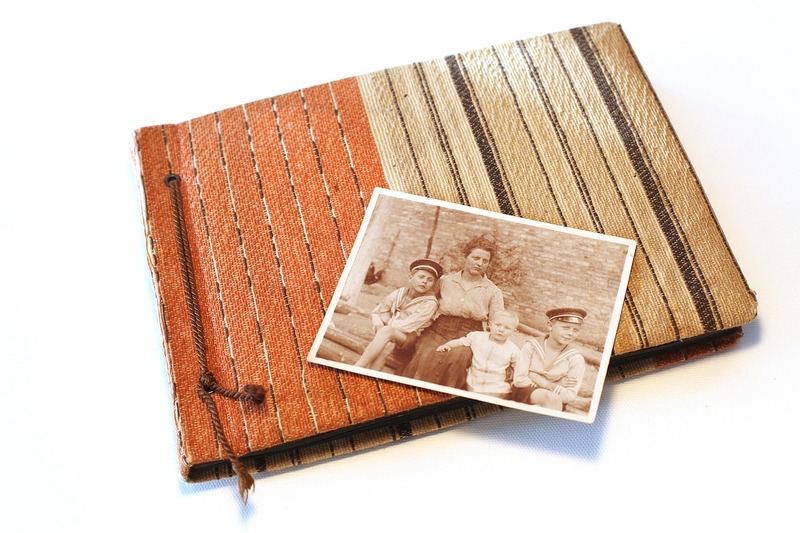 Printed books are bookstore quality and will become family keepsakes. Teachers can use the books at parent-teacher conferences to talk about student writing. Get started today in helping your students become published authors with Bookemon. Keeping students engaged can be a challenge. The quality of students’ learning depends a great deal on how well they stay focused in the classroom – and getting students to pay attention is no easy task. After a steady diet of television, video games and social media, your lesson may not seem so interesting, and some of your students may tune you out or even try to disrupt the lesson. It is possible to keep your students focused, however, even when learning disabilities or developmental difficulties present challenges to students’ capabilities. Of course, teachers need to clearly tell students what they need to do (and not do) in the classroom, but don’t ignore the power of nonverbal communication to focus students’ attention. Hand signals, eye contact, and other nonverbal cues can bring students back to attention in a moment rather than needing to raise your voice over all of theirs. When your classroom is focused around well-taught routines and procedures, students know what to expect and are engaged in responsible classroom behavior that facilitates focused teaching and learning. These routines should be established at the beginning of the year, but can be adjusted and built on as the year continues. When students don’t know what to do in specific classroom situations, chaos inevitably results and focus is lost. But when procedures are clearly taught, the classroom almost runs itself. Students often need motivation in order to focus on classroom tasks effectively. Teachers should explain how their focus and participation will be graded so that they are encouraged to give their best effort. Apps like Class Dojo offer positive reinforcement by awarding points for good classroom behaviors like staying on task or participating. When students know they will be held accountable for staying focused, they will be more likely to do so. Many students have difficulty focusing in noisy classrooms with frequent disruptions, so it’s a good idea to deal with disruptions early on by carrying out your discipline plan calmly and consistently. It’s up to you to give your students a calm, orderly place to learn and work; letting disruptions go in the hopes that they will go away on their own is not likely to be effective. Taking the time to talk privately to students that disrupt class or calling parents can help to deal with any disruptions before they become patterns of behavior that are hard to break. 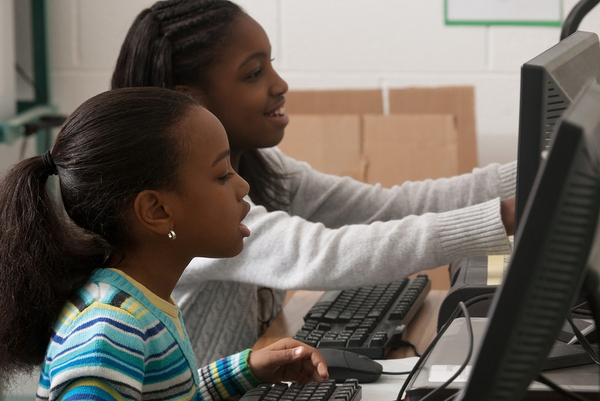 Interactive technology is one way to keep students focused. Do you enjoy sitting still and listening to someone speak for an extended period of time? Most people don’t, and kids are no exception. Interactive lessons allow kids to actively engage their bodies and minds in the lesson, which will help them focus better. Group investigation activities where kids work together to find out information, experiments, and lessons that use props or technology are all ways to get students actively engaged in their learning. Here’s an active lesson plan idea: students can write and publish their own books with Bookemon. You can try it out here. Teaching good writing skills is not as simple as it may sound. Though there are some basic structural components that educators typically focus on, everyone knows that good writing involves something more. Tapping into student creativity is a vital part of unleashing that hidden potential. But how, as a teacher, do you do that? There are no lesson plans to tap creativity, right? Well, maybe there are. According to research, the most effective methods to improve student writing are fairly simple to do, but many teachers are not using them. 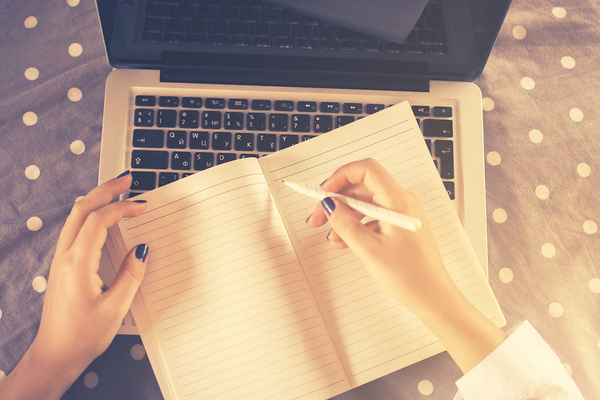 There are three tips found to improve student writing. Allowing students to type their story is one of them. Steve Graham, a professor of education at Arizona State University, monitors the numerous research studies conducted to evaluate the best methods to teaching writing. He recently studied the results of 250 separate writing studies to compile an overall synopsis of best practices for teachers. “We have confirmation of things we know that work, but are not applied in the classroom,” said Graham. 1) Practice, practice, practice: Like playing a sport or anything else, the more one practices the greater their skills become. This applies to writing too. Research from five different studies, which examined exceptional literacy skills in students, discovered that great teachers ask their students to write frequently. In nine experiments conducted with students, adding 15 more minutes of writing time per day in grades two through eight produced better writing. Seventy-eight percent of studies testing the impact of extra writing found that students’ writing quality improved. Other bonuses were that more writing time improved reading skills and other academic performance as a whole. Studies show that kids who learn how to write their own stories well, also develop methods to better organize their thoughts, and even communicate better. 2) Type it out: Though many educators are adamant that writing by hand improves comprehension, 83% of the studies focused on word processing concluded that student writing quality improved when typing on a computer rather than writing by hand. The idea is that the easier it is for students to edit their sentences, the more likely they are to do so – improving sentence structure, word choice, and clarity. The study results were most clear when it came to middle school students. 3) Focus less on grammar, more on writing more: Teaching grammar often doesn’t translate to quality writing. Six studies of children grades three to seven concluded that students who had been taught traditional grammar scored lower than those who did not. Graham believes the reason for this may be that, for younger students, grammar lessons are often separate from writing. But largely, the lessons seemed to get in the way of writing quality. What did work, in three different studies is teaching kids how to combine two simple sentences into a single complex sentence. The more students write, the better their skills. Add at least 15 more minutes to their writing time each day. The takeaway here is that writing should be encouraged, made to be creative and fun, and done much more frequently in the classroom. Add at least 15 minutes to each day of classroom activity and you will see results down the road. Make it a fun project, like publishing their first book at easy to use, free sites like Bookemon.com. There you will find resources and you can create your own educator account to Try it out (for educator-related articles) for free! 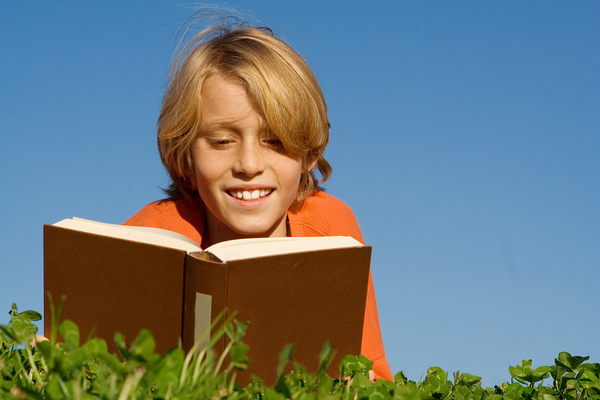 What kind of story will engage young readers the most? The answer may be simpler than you think. Writing for children can be different than writing for adult readers, but it does not require a crystal ball to know what will grab a child’s attention. Writing for children requires a few simple changes in your storytelling style. Successful children’s authors like J.R.R. Tolkien and C.S Lewis, for example, didn’t always set out to write specifically for children. They tell their story and children just happen to be drawn to it. 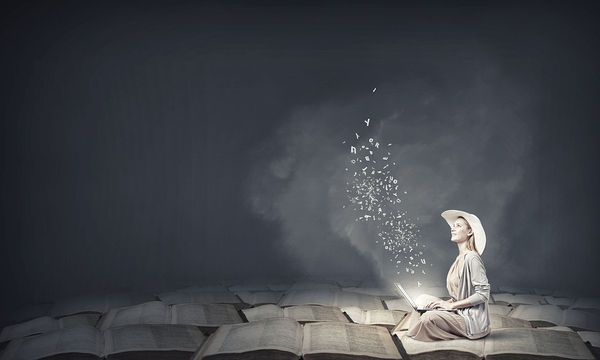 So, rather than carefully trying to lure a specific age group of readers into your book by adding ill-fitting props or characters that you think are popular, it is best to follow your writer’s heart and simply tell the story you were meant to tell. According to an interview with famous children’s author, C.S. Lewis, the ideal story you craft will be engaging and fit naturally into a format that just organically appeals to children. Lewis stated that a great children’s book should actually have the same foundational elements one sees in a great adult novel– just easier to read and digest. So, to write well for children, make no wild efforts to attract kids into reading your book. Simply write and publish an amazing story and note that there are a few subtle differences in the writing format for children’s books versus those for adults. Characters need to be quickly understood and relatable. Essentially, they must be well-developed and three dimensional, but easy to get to know and follow. Describe them in simple, everyday terms. 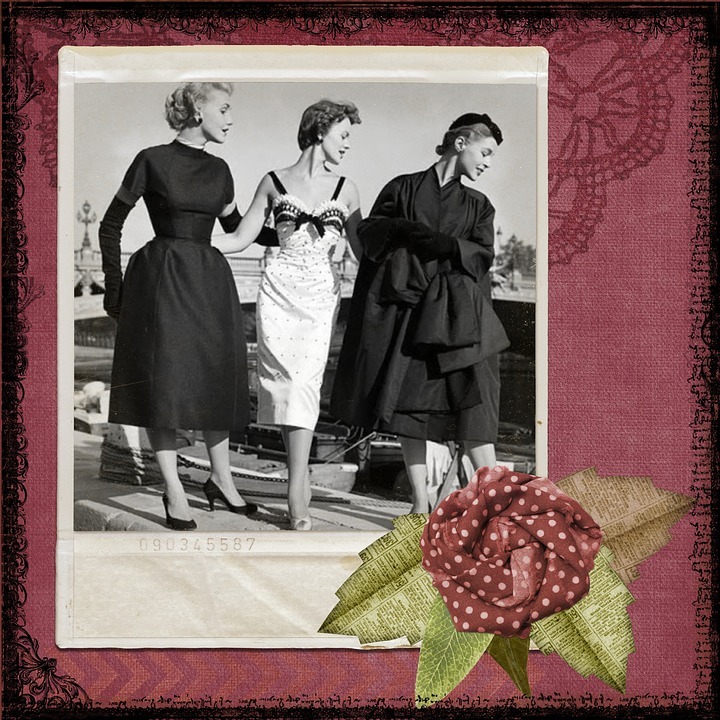 What do you remember about one of your childhood friends? Was he unusually taller than others in your class? Was he always wearing his lucky baseball cap? Did he have an unusual passion for eating raw vegetables straight out of his father’s garden? How would you describe his friendship? Could you trust him with a secret? The reader should be able to visualize the characters, who they are, and what their struggles are (because every good story has a struggle or an obstacle to overcome, right?). But, remember to keep all details simple and clear. Try writing to appeal to a specific child you know, rather than the masses of young readers out there. Make your story genuine, answering to that one child’s interest. This is actually the perfect recipe for authentic, great writing that attracts many readers. In other words, trying to appeal to all children means adding obvious, frivolous parts to your story in an attempt to be popular with everyone. Don’t do it! Remember what it was like to be a child. What were your fears? What worried you? What brought you joy? Your story should not necessarily be geared just toward children, or just toward adults; to do so compromises the story. Rather, it should include real-life concerns that a child can easily relate to, but even adults would connect with. Remain believable and authentic to your writing style. Rather than setting out to write to appeal to what you think children want (like forcing the use of certain words or adding magical characters to a story that does not call for them, for example), simply tell the story you were meant to tell. Be authentic to yourself and write in an authentic manner that just happens to be attractive to young readers. Children are drawn to authentically good writing and characters they can understand and follow. Once you have carefully crafted your children’s story, it is time to publish it. Relax! With Bookemon, this is the easy part. Just go online, sign up for a free account, and all the tools you need are right at your fingertips. Getting started is simple, fun and it costs you nothing to give it a try. 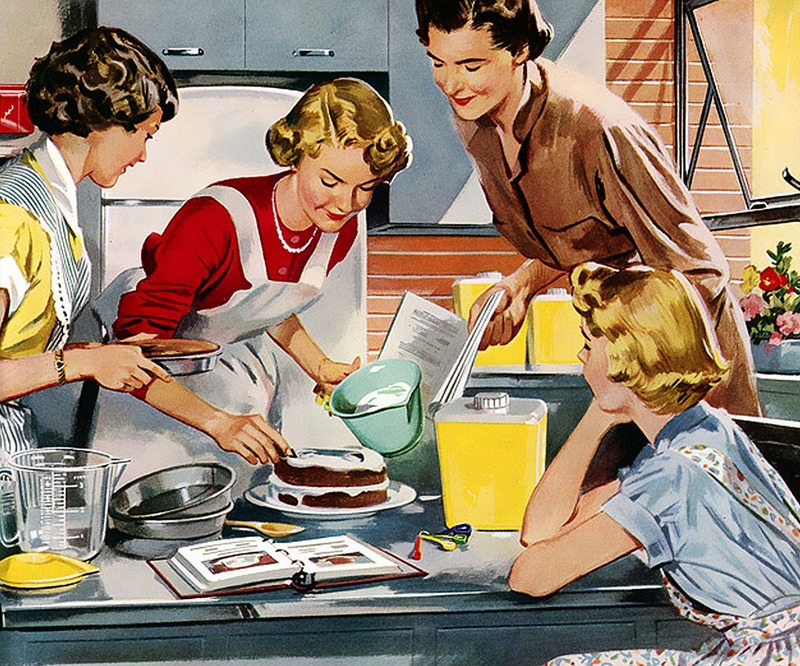 Parents today are often heavily involved. They spend time helping children with homework, working with them to improving test scores, volunteering with school events and more. But, a recent study says that the results of all that parental support has little impact on the academic achievement of their children. In other words, relax. Stop pushing to be so involved in the studying, homework, and college aspirations of your children. A recent study says parental involvement with homework and school does not produce student success. This latest study, one of the largest ever conducted about the subject, focused on pinpointing how much, or little, parental involvement affects academic achievement. Conducted by Keith Robinson, a sociology professor at the University of Texas at Austin, and Angel L. Harris, a sociology professor at Duke, the pair discovered that for the most part, parental involvement has very little long-lasting impact on how children do in school. The researchers studied longitudinal surveys over the span of 3 decades, involving parents across the country. The surveys tracked 63 different measures of parental participation in their children’s’ academic lives, including helping with homework, discussing future college plans, and the parents’ level of volunteering at the schools. The study homed in on whether the highly-involved parents had children who improved or excelled academically over time. Involvement level was compared to children’s academic performance, including test scores in reading and math. The results not only showed little correlation with academic success and parental involvement, but in some case the involvement actually backfired and achievement diminished. Should You Still Review Homework? The basic answer? Yes, but in moderation. The results, published in The Broken Compass: Parental Involvement With Children’s Education, indicates that reviewing you child’s homework will not actually boost standardized test scores. After kids reach middle school, parental help with homework can actually bring test scores down. Robinson attributed this to parents not understanding or remembering the material and giving poor guidance. Similarly, students whose parents frequently meet with teachers or principals don’t improve any more than academically comparable peers whose parents are less involved at school. 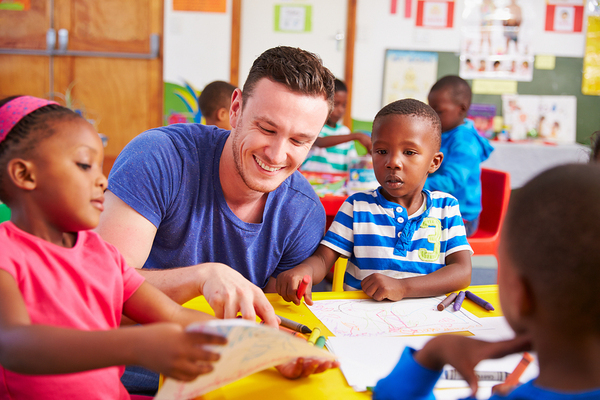 Volunteering in your child’s class to help with lessons, as well as advising your teen on how to choose their courses for high school, leaves children anxious. The worst? Punishing kids for getting bad grades or instituting strict rules about homework actually creates academic anxiety and even a dislike for school. What should a parent do to help academics? Encourage fun activities that inspire learning, not strict rules. According to imaginationsoup.com, there are many activities and ideas you can try to have fun and encourage learning in a more relaxed manner. The trick is to find the ones that inspires your children the most and to keep the focus on fun. Create activities and games with words or numbers, write poetry or short stories to read at bedtime. Create a collection of stories and publish them so your children have the pride of being an author and let them illustrate their stories too! According to an article on greatschools.org, your mission as a parent is to make it fun.